She is my life’s mirror. My best friend in the world. Because it is full of love and forgiveness. Please love and forgive your mom. Please love and forgive her. This work was supported in part by the Fetzer Institute. 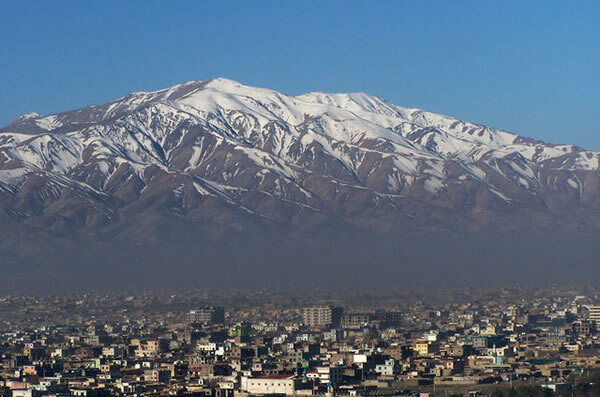 Mountains of Kabul by Joe Burger. Dear Friba, I say this with no exaggeration: this is one of the best poems-to-mom I’ve ever read. I love this poem very much. I love the images–ah, how a mother is like a mountain, and like tulips. I especially appreciate: “Please love and forgive her.” Because most of us, no matter how much we love our mothers, tend to have some grievances. I appreciate how this poem pushes us to put things in perspective and focus on the deep love that is there, even in the troubled mother-child relationships. Wonderful writing, Friba! And this line: “My friend is like a swift river, full of motivation” How we all need parents, and siblings, and friends who are like swift rivers, full of motivation. Love this line! Thanks a lot dear Stacy . when I am full of sad and lots of time very hopeless I write about my sources that’s which encourage me for continuation the life. I want to share all of them with all women and I advice them be active and full of hope. I see great motivation and hope in your words. You are lucky being with mommy and daddy. Since you are with them give them love as much as you can. Sometime you will also have leave them and start a new chapter of you own life. So love them and give them love from my side as well. Love you all and missing you all! Thanks God to have this chance to write some words regarding what our sister Friba Jan has written, Motherhood is tough 24 hour job, no pay, no day off, sometimes it is unappreciated, but yet resignation is impossible. A mother is a woman who created by God to bring love, joy, happiness and caring into his world. I am so glad God has created a woman to be a mother, even though motherhood is a full time job, a mother’s work is never done. With your lovely poems, you broke my heart with happiness and forgivness, I am a way from my mom, reading your poem I broke the distancess for a moment and reread your poem, you gave me two things to learn from you, To love my mom and to be proud that I am a mother.